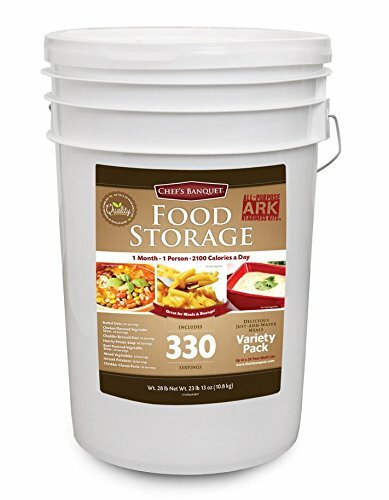 This pack provides a 30-day variety of add-water-only meals. The meals are very highly rated by purchasers! Many meals for a small price. 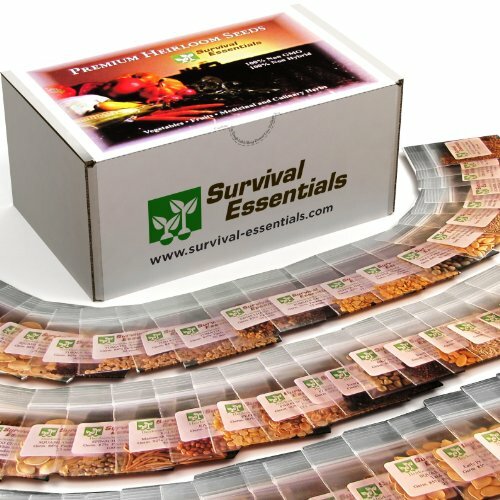 Heirloom Survival Seed Bank - 100 VARIETIES - Non GMO - Non Hybrid - ALL IN ONE: Vegetables - Fruits - Culinary Herbs - Medicinal Herbs - Emergency Seed Vault - FANTASTIC GIFT IDEA! Terrific variety of Non-GMO seeds including medicinal, micro-greens, fruits, veggies, and herbs. Another perfect gift item, for yourself and others! Includes over 17,500 seeds! The seeds are non-hybrid and will produce year after year.